Two amazing American women dominated my life last week. 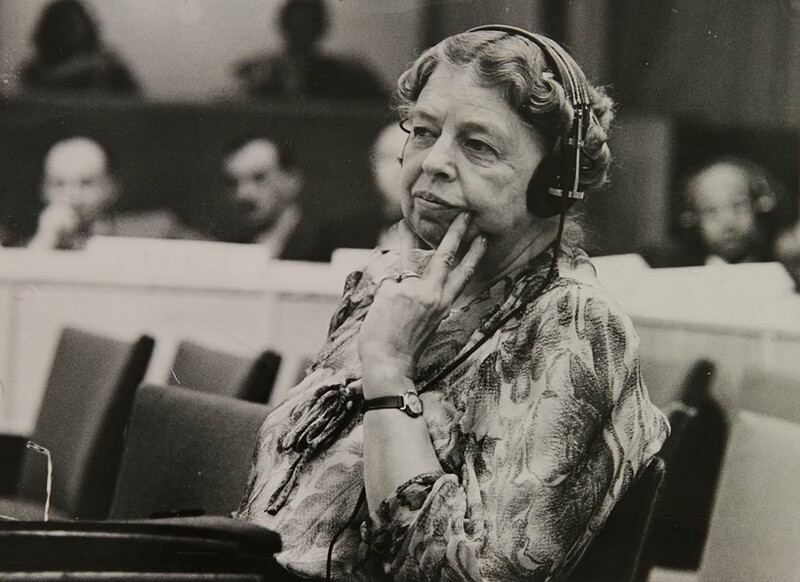 My evenings were devoted to watching the terrific Ken Burns series on the Roosevelts, captivated by how this family changed America and the world, and especially by the strong, progressive and independent voice of Eleanor Roosevelt. To be honest, before watching this series, I had no idea about the full impact of Mrs. Roosevelt - her work to create the Universal Declaration of Human Rights and her commitment to civil rights, women and the union movement. Mrs. Haury shared the progressive social concerns of Eleanor Roosevelt, especially in her commitment to worldwide human rights and the disadvantaged. She shared her direct gaze and frank views and also came from a privileged background. Born in 1923 to a wealthy Texas family, Mrs Haury's career including working as an editor and writer for the Woodrow Wilson Foundation and the Carnegie Endowment for International Peace as the world struggled to establish a new international regime following the second World War. At Carnegie she worked for Alger Hiss, and later in life fought to clear his name from charges that he was a Soviet Agent. She travelled to the Andes, Libya and Burma writing reports on how the fledgling United Nations could help those regions. She even helped research and edit Gunnar Myrdal's benchmark study in development, Asian Drama, as well as the UN Yearbook. After moving to Tucson in 1965 she worked on archaeological projects and edited the Anthropological papers of the University of Arizona. She established her own foundation with inheritance from her family, and began a decade of funding humanitarian, cultural and scientific projects worldwide ranging from internships at the Nation, archives of the conflict in El Salvador, recognition for American Indian tribal rights and preservation of Native American languages, musical commissions, biodiversity research and dozens of archaeological investigations. 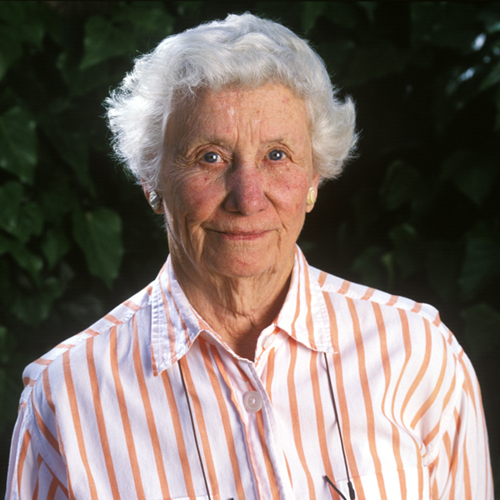 After the death of her last husband, Emil Haury, notable archaeologist and expert on the Paleo Indians of the southwest, she established endowments in his name for work in anthropology, native pottery, and dendrochronology -- the study of tree rings. She was also drawn to those who sought to understand the interactions between cultures and their environment in the Americas, funding the work and enjoying the company of Gary Nabhan on food and conservation and David Yetman on the ecology and cultures of Northwest Mexico. I did meet Mrs. Haury on a couple of occasions, and wish I had been able to get to know her better. She was self-effacing say her friends, wanting to invest quietly in people and causes she cared about, and not spending money on herself. Now the University of Arizona Foundation is charged with sustaining her legacy by investing in new generations of scholars and activists who are trying to ensure a green and just world. An initial $50 million endowment will fund faculty and students to solve environmental problems, engage with communities, and work on questions of human rights and social justice in Arizona and beyond. The initial faculty awards include those to a poet, a rainforest scientist, a climate modeler, a Mayan archaeologist, a folklorist, a sociologist of poverty, an immigration rights lawyer, and ecologists who work along the U.S.-Mexico border (for more information see haury.arizona.edu). Support for students links Mrs. Haury to author and scientist Rachel Carson in Carson-Haury scholarships that will train graduate students to communicate their research to the public. Undergraduates will be supported to intern with environmental and social organizations in the community and include work with disadvantaged schools to create gardens, Native American communities for aquaponics and solar energy projects, and a university wide composting program. A new scholarship will be established for a Native American or Canadian First Nations student to do graduate work at Oxford University's Linacre College. Her friends say she would probably be embarrassed by all the publicity about her -- especially the half page ad with her photo in the Sunday New York Times on September 21st. But I do hope she would be pleased with the diversity, breadth and vision for the program that bears her name. As I enter my 60s, about the age when Eleanor Roosevelt really found an independent public voice, and Mrs. Haury created her first foundation, I am thinking a lot about the next phase of my own life because I share many of the values (but not the wealth or power) of these two women. Thank you, Eleanor Roosevelt and Agnese Nelms Haury for showing how to make a dent in the world.